Transforming growth factor-βs (TGF-β) are a family of proteins that regulate cell growth (reviews in refs. 1, 2, 3, 4). These proteins are one of the only endogenous inhibitors of the growth of cells and since uncontrolled cell proliferation is the hallmark of cancer, our laboratory has been intrigued by and dedicated to understanding the role for TGF-βs in neoplastic development and cancer progression. Our first approach was to determine the level of TGF-β mRNA and protein expression in a variety of cancers, in vivo, and to correlate this information with disease stage and survival. Since TGF-βs are natural inhibitors of growth, we postulated that there may be a loss or downregulation of TGF-β in cancer cells, thereby permitting their growth. However, on the contrary, we and others have generally found a marked increase in the expression of TGF-β isoform mRNA and protein in cancers of epithelial (ectodermal/endodermal), neuroectodermal, and mesenchymal origin, including malignancies of the pancreas, colon, stomach, endometrium, breast, brain, prostate, and bone (11–21,84,147, 148, 149,169, 170,228,252, 253, 254, 255). Furthermore, in most of these cancers high expression correlated with more advanced stages of malignancy and decreased survival. 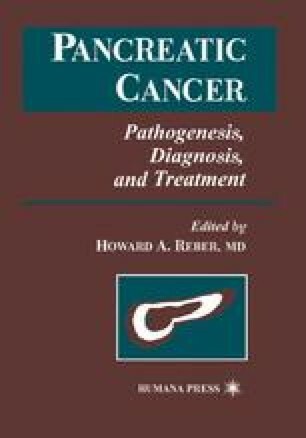 Therefore, it was hypothesized that the increased expression of TGF-β represents a loss in the growth inhibitory response to TGF-β and that understanding the molecular events associated with the escape of tumor cells from TGF-β regulation will provide insights into mechanisms underlying oncogenic transformation. Indeed, tumor cells in culture (i.e., colon carcinoma and glioblastoma multiforme [GBM]) have demonstrated a progressive loss of the growth inhibitory response to TGF-β that varies directly with the malignant stage of the original tumor, and the most aggressive forms actually show autocrine and/or paracrine growth stimulation by TGF-β.